Google received praise from photographers last year when it made its $150 Nik Collection of popular photo editing software 100% free. But alas, all good things come to an end: Google has quietly announced that it will be abandoning the Nik Collection from here on out. The announcement was made through a simple banner message found on the Nik Collection homepage. Google originally acquired Nik Software back in 2012, bringing the Nik Collection and the popular photo editing app Snapseed into the fold. Snapseed had become one of the most popular photo editing apps in the iTunes App Store, and was perceived as a photo filter competitor to Instagram. But things have been going to well for the Nik family of software. In 2013, Google announced that it was killing off Snapseed for Desktop. At around the same time, Google regained some goodwill when it dropped the price of the Nik Collection from its original cost of about $500 to $150. Three years later, Google yanked that $150 price tag and made the software free. While many photographers lauded Google for the generous move, others wondered whether it was the beginning of the end for the popular collection of tools. If you’re a fan of the Nik Collection, you’ll still be able to use the tools indefinitely for now, but there’s no guarantee that the software will be supported well by future versions of Photoshop, Mac OS, and Windows. 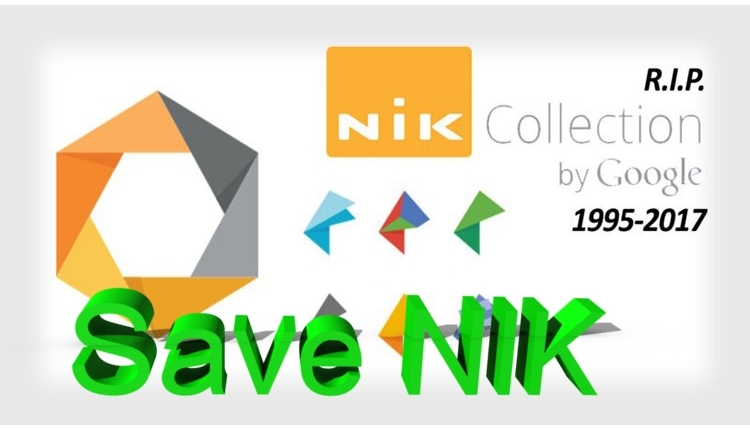 But who knows — perhaps Google will decide to make the Nik Collection an open source project for independent developers to further develop and keep alive. We, the amateur and professional photographers of the world ask of Google to keep Google Nik software alive and updated. The Google must keep NIK collection for photography alive petition to Google was written by Laurent Egli and is in the category Arts & Entertainment at GoPetition.